Just this month, I was asked to share with the teachers and Staff at Heritage International School where Marjorie volunteers and our children attend. I opened up by asking the staff, "What is your world?" Sometimes it’s easy to think that our “world”, the one that Jesus called us to go to, is out there.....not where we work. But our work place is the place where we spend a majority of our time. Some of the teachers at the school felt like their REAL ministry was on the weekends when they get to serve at orphanages or in the poor communities. Yes, that is ministry, but the main reason they are here is to teach at Heritage International School. So, Glenn was able to instill a vision that their world IS Heritage International students, parents, colleagues, staff. Armenia, Australia, Belgium, Cameroon, Canada, China, Colombia, Democratic Republic of Congo, Ethiopia, Eritrea, France, India, Italy, Kenya, Liberia, Netherlands, Nigeria, The Philippines, Rwanda, South Africa, South Korea, Sudan (both South and North), Uganda, United Kingdom, United States, and Zimbabwe. The fact that these are not the poor has consumed many of the teachers and riddled them with guilt, but the fact is, these are the leaders of our next generation. The students basically come from three groups- missionary families, governmental families and business families. They students come from influential families. What's so exciting is that the teachers have the leeway to teach the word of God freely in every class, and the teachers do that. It was a good reminder that their world is not just “out there” where the poor and needy are, but it’s also here at the school, where the “rich” are who will be our next leaders around the world. 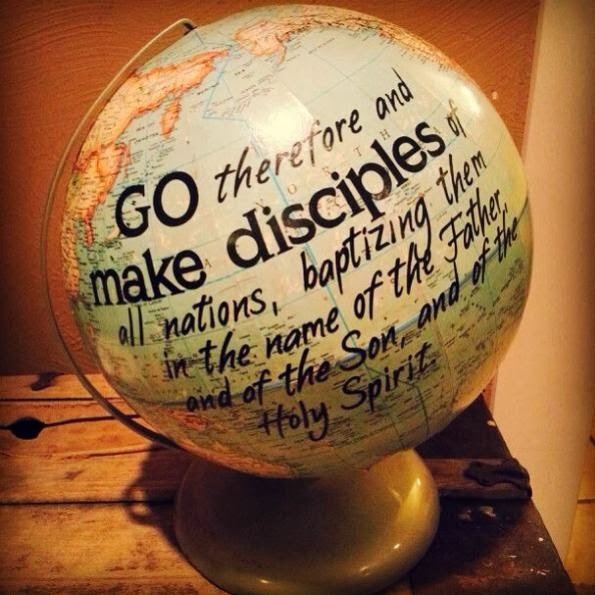 What a privilege we have to disciple and transform nations! Click here for a blog post from one of the teachers who really "got it"!!! So, which mountain of influence (education, government, business, religion/church, media, arts/entertainment, family) has God called you? During Bible class, Glenn was talking about the different things we can do that are part of spending time with God: Thanksgiving, praise, worship, being still and knowing that He is God, meditating on the Word, forgiveness, asking for wisdom, praying in tongues, etc. So, Glenn was telling them that we become like the ones that we spend time with. (We become more like Him the more we spend time with Him). He gave an example and then I thought of one myself. Before I was married, I had an awesome roommate who loved to laugh. But when she laughed, she also snorted like a pig in between laughs. I really DID NOT like that particular laugh and I made a note of that to myself. After living there for some time, I was laughing one day, and wouldn't you know it, but I snorted! I could not believe it! And I snorted many times after that when I laughed. It almost seemed like I couldn't help myself! Of course I was demonstrating for the audience and they thought it was hilarious. They laughed and laughed and even brought it up in later conversations to me. You DO become like those that you hang around with! Thankfully, I'm freed from the snorting laugh now. I never know what will strike a Ugandan as funny, so it's hit and miss. I just got back from a half hour fast-pace walk and when I was almost home, I talked to some of my boda drivers who were all at their stage (bodas are motorcycle taxis and a stage is where they are assigned to wait if they have no passenger). Boda driver, Frank: You are on a walk. What did you bring for us? You went to the supermarket, Yeah? Me: No, I just walked in a big circle. Boda: What did you bring for us? I'm going on a walk shortly. I'm going to be looking for things that would be different for me to see if I was just coming from America. I shall report in the comments below. What we would call "Shacks" they call shops, also on the side of the road selling clothing, electronics, furniture, etc. A friend from school going by on a boda (motorcycle taxi) and saying "hi" to me as I was trying to cross a busy street. What you have to do is cross halfway, so you're standing in the middle of the street with no middle border, until the oncoming lane of traffic is open and you can cross all the way. Yep, I'm getting good at that.